I haven’t read the previous books in this series, but I did find this storyline to be really easy to follow. The characters were quite interesting and easy to understand, despite not having seen them in their previous incarnations. There was some information dumping in this book and summarising of past events, which didn’t really help a lot. I would have liked to see more of Royal’s relationship with her mother and Asa’s relationship with his. Although the narration makes it clear that both of the mothers have issues, there’s very little of that shown in the book… which is a bit disappointing, since those interactions could add a lot more to the story. 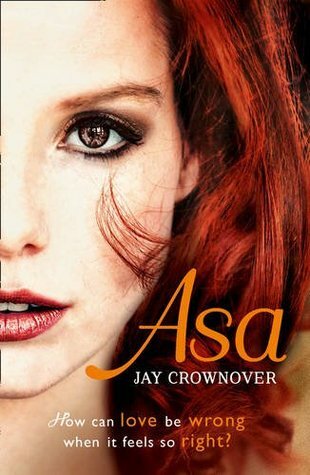 I enjoyed reading about Royal’s and Asa’s relationship. It was good to see that Royal was prepared to push and get what she wanted. I would have liked to see a bit more of her time on the Force, but it was cool to see her interacting with Dom and how much he clearly cared about her. It was also good to see her get out from under the shadow of her partner and have the opportunity to show herself as a competent police officer. It was good to learn about how Asa viewed himself and his past. While I thought some of what he came out with was quite crude, I thought he was a good hero for a romance book. The series title of Marked Mend definitely applies well to Asa. I didn’t really like the fact that the chapters alternated between two different points of view, I did find the changes tolerable and the book was entertaining to read. It was also good to have the opportunity to see a lot of the other characters… but, again, it would have been good to see more of the interactions. For instance, I would have liked to see how Royal interacts with the other characters and why she doesn’t make friends easily. I would be interested in reading more about the other characters in the future, so I can see how many of the couples got together. And it would be good to see more of Royal and Asa in future books.